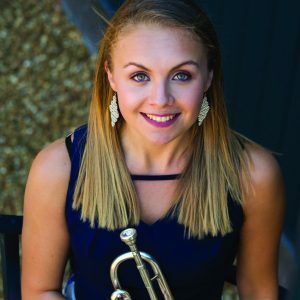 THE final recital of the “Soirees at Breinton” season takes place on Saturday, 12 May and features trumpet player Matilda Lloyd and pianist Leo Nicholson. Only 21, Matilda was the brass category winner of the 2014 BBC Young Musicians of the Year, won the BBC Radio 2 Young Brass Award, and debuted at the BBC Proms in July 2016. As Woking Musician of the Year in 2013, she is also a well-known figure to local music lovers. Leo will accompany her at the recital, which takes place at Breinton House in Heath House Road, Brookwood.